Russia has offered Ukraine a final gas price of $385 per 1,000 cubic meters, and if Kiev continues to ask for a lower price, rapport between the two countries will fall apart, Russian President Vladimir Putin said Wednesday. “We believe our proposals offered more than a partnership aimed to support the Ukrainian economy during its difficult period when it was in need. 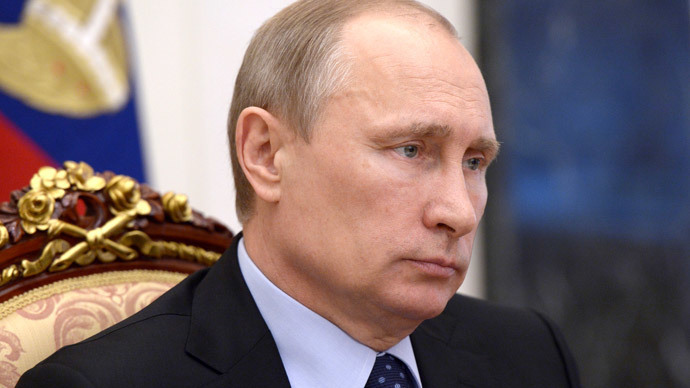 But if our proposals are rejected, then we move into a completely different stage, it’s not our choice,” Putin said at a meeting with government officials. The price has now been set at $385 per thousand cubic meters, $100 less than the previous $485 price Moscow set but more than the $268.50 price Kiev demanded. “Gazprom has offered its Ukrainian partners the exact same conditions that the government had under Viktor Yanukovich - a $100 discount on the contract price, with a final price of $385 per thousand cubic meters,” Putin said. "Gas price for Ukraine in the $ 385 would be acceptable, and Russia can still provide discounts depending on volume," EU Energy Commissioner Guenther Oettinger said. Kiev is still unsatisfied with Moscow's offer and said it will take the appeal to an arbitration court in Stockholm, Ukraine's Energy Minister Yury Prodan said. Prodan stressed Stockholm is the only way to settle the matter. 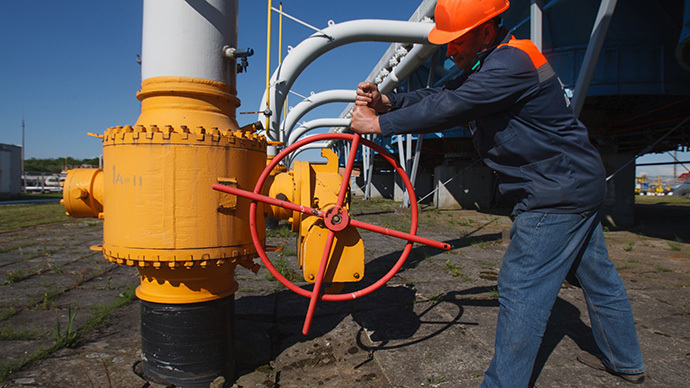 Ukraine is still hoping to negotiate an interim gas price, which would be in place before the Stockholm hearing. Russia is ready to give Ukraine this $100 discount for one year, Russia’s Energy Minister Aleksandr Novak said at the meeting. The new discount will make deliveries to Ukraine free of export tariffs. 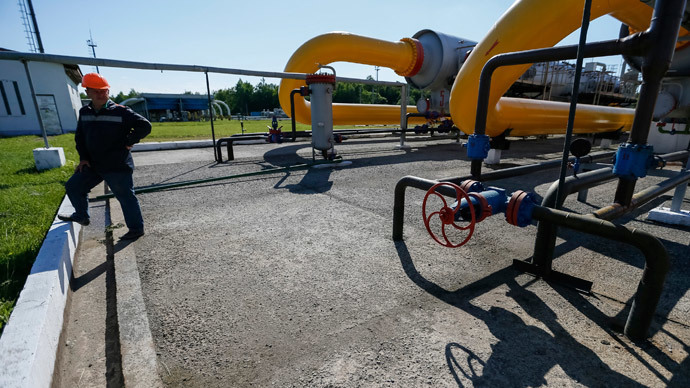 Novak said that Moscow is willing to recalculate Kiev’s massive gas debts for April and May, which will bump their arrears down from $2.353 billion instead of $3 billion. The first tranche payment of $500 million is due June 16, and the remaining $1.8 billion is due on June 26, Novak said. In order to avoid future gas disputes, Putin called on his ministers to set a time period for Ukraine’s gas discount to last long-term. “I would ask the government, the prime minister, to think about how your departments can work with the government of Ukraine to set these conditions and make them reliable and not change over time,” Putin said at the meeting. In response, Russian Prime Minister Dmitry Medvedev promised the government will start preparing long-term discount proposals. Even though Kiev has twice missed its debt deadline, Gazprom has not introduced a gas pre-payment scheme just yet, as Gazprom CEO Aleksey Miller extended the deadline to 9:00am Moscow Time on June 16. Moscow has threatened to turn off gas supplies, if Kiev doesn't pay its massive $4.5 billion gas debt – a step Gazprom took in 2006 and 2009. Russia and Ukraine have held a series of talks, led Oettinger, to find a solution before Gazprom is forced to cut off gas supplies to Ukraine, which would have adverse effects across Europe. Gas stability in Europe is completely up to Russia, Prodan said on Wednesday. So far trilateral talks have been inconclusive, but negotiations will continue, according to Novak. Oettinger says that Putin and Ukraine's President Petro Poroshenko plan to start gas talks today. Kiev has repeatedly said any price above $268 is too high and politically motivated, while Gazprom, Russia’s state-owned gas producer, points out it is similar to European client rates. In 2013, Yanukovich’s last year as president, Ukraine paid $413.50 per 1,000 cubic meters for natural gas. In December 2013, Yanukovich secured a deal with Russia to pay $268.50 per 1,000 cubic meters for the first 3 months of 2014. In April, Gazprom cancelled the $100 Kharkov Agreement discount, and the price eventually rose to $485 per 1,000 cubic meters.